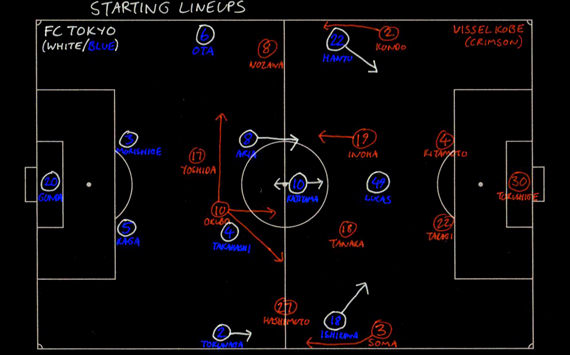 This week’s tactical column looks at the 2-0 victory for J2 champions FC Tokyo away to fellow high-fliers Vissel Kobe. Click the banner below to read the article in Japanese at Goal.com, or scroll down for an English-language version. There are two, intrinsically related mistakes that people often make when attempting to discuss football theory. The first is to equate tactics with formations; the second is to then forget that one team’s interpretation of the same formation will differ from another’s. Looking at the pre-match numbers alone, it might be tempting to assume that Vissel Kobe were making the same mistake that Gamba Osaka suffered during the previous weekend’s derby – in facing up to FC Tokyo’s neat 4-2-3-1 with a 4-4-2. But while nominally part of a ‘front two’, a long time has passed since Yoshito Okubo could really be called an out-and-out striker. His willingness to adopt much deeper positions and even provide cover on either flank ensured that the risk of Vissel being outnumbered in midfield was minimised. In effect, this often meant that the team without the ball could mirror their opponents’ shape and cancel out the potential for attacking forays. In possession, FC Tokyo played more narrowly as a team and passed it around patiently, with Lucas coming deep to hold up the play, but they tended to lack real potency in the final third barring a couple of early, marauding runs from Aria Jasuru Hasegawa. The hosts, meanwhile, worked the ball into wide areas to utilise the classic threat of the overlapping full backs. However, aside from an 11th-minute chance for Takayuki Yoshida, their crosses were usually dealt with comfortably, restricting Okubo et al to pot shots from outside the box. But the underlying beauty of a 4-2-3-1 is the way its successful deployment allows for – demands, even – devastating movement and rotation going forwards. 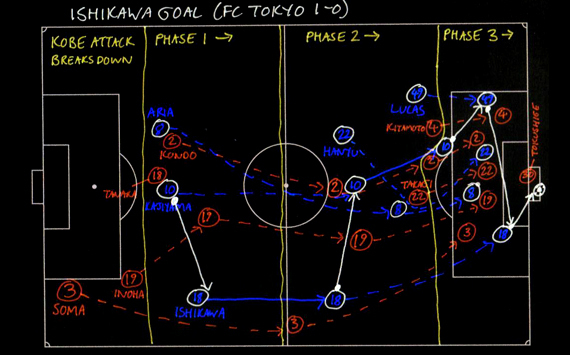 Evidently well drilled by Ranko Popović, FC Tokyo’s crucial opener arrived following the breakdown of a Kobe attack that had left three defensive players in advanced areas (see diagram). As Naohiro Ishikawa carried possession down the right wing (phase 1), Hasegawa and Yohei Kajiyama began forward runs which attracted the respective attentions of Masahiko Inoha and Gakuto Kondo (phase 2). When Kajiyama then carried the return pass to the left edge of the D, Naotake Hanyu ran an arc around Kazumichi Takagi while Hasegawa curved his movement to bring Inoha further inside as well (phase 3). With Takahito Soma unable to sprint all the way back in time, this left Ishikawa totally free at the opposite post to expertly convert a pinpoint low cross from Lucas. Hasegawa’s soft second yellow came too late to really help Vissel, and the visitors sealed victory through substitute Kazuma Watanabe via a long ball and counter in the final seconds. 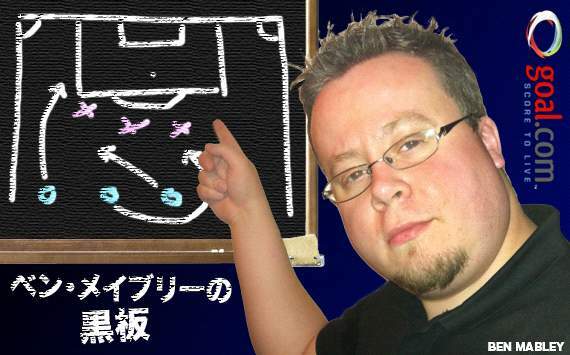 My second weekly column on tactics can now be read in Japanese at Goal.com by clicking on the banner below. Alternatively, scroll down to read an English version. Please note that this article was written before Gamba Osaka’s frankly disgraceful start to the season got even worse with another defeat, 2-0 away to Adelaide United in the AFC Champions League, yesterday evening. Considering the passing style that Gamba Osaka favour, their choice of formation for Saturday’s derby was a curious one. Hosts Cerezo Osaka unsurprisingly retained their progressive 4-2-3-1 – a system that highlights the energetic young talents of Takahiro Ogihara and Hotaru Yamaguchi at the base of midfield, and of Kim Bo-Kyung and Hiroshi Kiyotake roaming behind the striker. 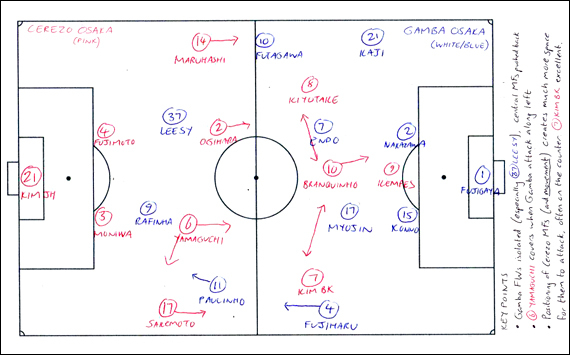 Gamba, however, opted for a basic 4-4-2; albeit with Hiroki Fujiharu and Paulinho comprising a rather more aggressive left flank pairing than Akira Kaji and Takahiro Futagawa on the right. This played into Cerezo’s hands perfectly. With greater numbers and mobility in midfield, the home side could almost toy with their opponents – patiently allowing Gamba to stagnate in possession by blocking off space for attacking runs or passes, then breaking with pace and fluidity on the counter. Despite a limited contribution from Kempes, the tactic presented an effective test for the visitors’ notoriously wobbly defence, while Yamaguchi was particularly outstanding at closing down Gamba forays which, predictably, came mainly along the left. Cerezo may not necessarily have had more of the ball in the first half, but they created comfortably the most chances. - Positioning and movement of Cerezo MFs creates much more space for them to attack, often on the counter. (7) KIM BO-KYUNG excellent. The opener came from one quick counterattack in the immediate aftermath of a Gamba corner. Kiyotake beat Fujiharu to the ball in midfield, and when the latter scampered back, he was easily sent off balance by Branquinho, who had time to place his shot past Yosuke Fujigaya. Gamba were increasingly left resorting to ‘Hollywood’ passes from Futagawa or Yasuhito Endo, but the one pitfall to Cerezo’s pressing was the risk of conceding free kicks. Paulinho netted beautifully from distance and, for the second week in a row, the neroblu went in at a barely-deserved 1-1 thanks to the Brazilian’s individual brilliance. To his credit, the embattled José Carlos Serrão recognised the need to defend from the front. Though Cerezo continued to perform better as a unit, proceedings became far more even – chess-like, perhaps – when Paulinho and Futagawa adopted slightly narrower positions in the second period. When Shu Kurata replaced the anonymous Lee Seung-Yeoul, Gamba’s system mirrored their opponents’ almost identically, and the match appeared headed for stalemate. But Gamba always carry the potential for defensive meltdown, and when, in the 94th minute, Noriyuki Sakemoto was given all the time in the world to pick out a cross, Kempes had the all-too-easy task of beating 175cm Kaji to the header. The timing was cruel, but Cerezo merited the points for their first half display. 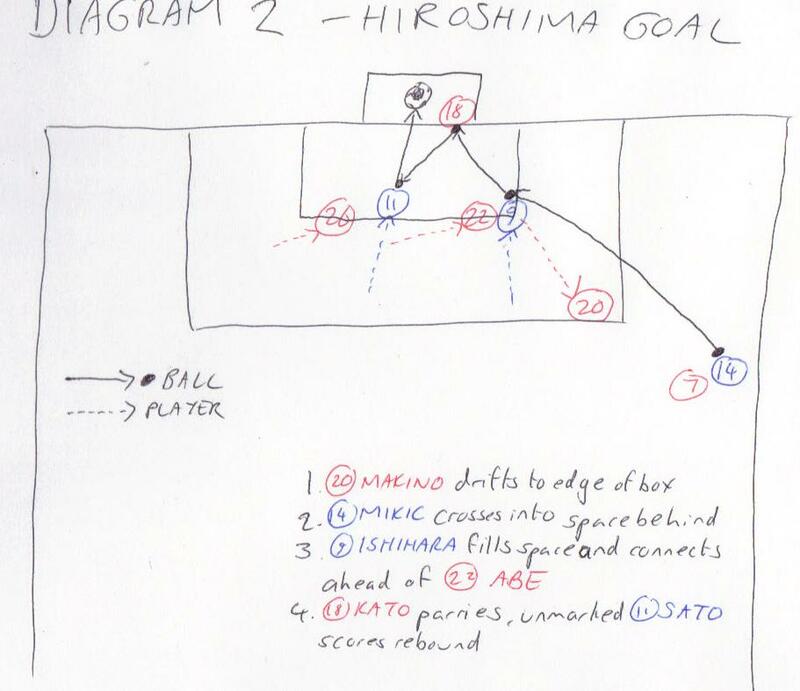 Goal.com Japan have kindly given me the opportunity to write a weekly column on tactics and game-changing moments in the J. League. Click the logo below to read my first article in Japanese (translated by Teppei Takano) at Goal.com, or scroll down for an English version. 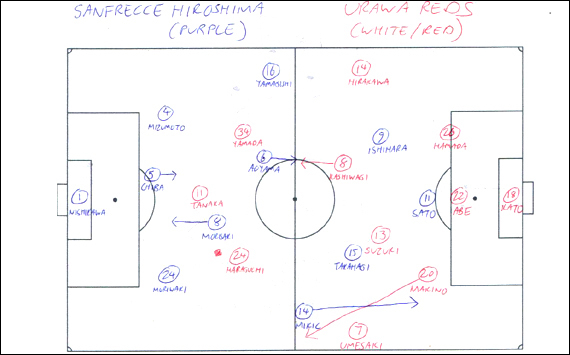 For all the usual, headline-friendly talk of Mihailo Petrović and Tomoaki Makino returning to their old stomping ground, Urawa Reds’ visit to Sanfrecce Hiroshima carried particular tactical significance. Petrović was the only manager in the Japanese top flight last term to eschew a four-man defence in favour of his trademark 3-4-2-1 – the system with which he now embarks on the not inconsiderable task of restoring Urawa’s fortunes. His successor as Hiroshima boss, Hajime Moriyasu, worked under the Serb for three seasons and has not sought to radically alter the team’s style of play. New signing Kazuhiko Chiba slotted expertly into the central, libero position – stepping forward to create a high line while Kazuyuki Morisaki, who played in the sweeper’s role last season, frequently dropped deep from midfield. This allowed the hosts to effectively switch between a back three and back four, defending superbly as a unit and denying Urawa opportunities to get behind them despite a bright start. By contrast, by far the most positionally fluid member of the Reds’ back line was the left-sided Makino, reunited with his old mentor after a difficult 12 months with 1. FC Köln. While Yuki Abe rarely advanced significantly from the middle, Makino could repeatedly be found charging far up the flank. When his team is on top and cohesive, such attacking forays can be a devastating weapon; however, this runs the risk of leaving space in behind. While Yosuke Kashiwagi’s industrious pressing left Toshihiro Aoyama short of time to get creative, Sanfrecce’s best chance of the first half came from an incisive long pass by Chiba down the Urawa left. Makino’s advanced starting position allowed Mihael Mikić acres of room to send in a dangerous low cross which Abe did well to clear. The only goal was a slightly different example of the same phenomenon. When Mikić beat Tsukasa Umesaki to cross following a partially cleared corner, Makino had already drifted diagonally away from goal by some margin. Both ball and now-unmarked Naoki Ishihara flew into the vacant path behind Urawa’s number 20. Abe could not prevent the former Omiya Ardija man from connecting with a volley that Nobuhiro Kato could only parry; Hisato Sato was free to slot home the rebound. In a game of few real chances, small details can make all the difference. Hiroshima were clearly deserved winners while Urawa will need time to learn Petrović’s ways. Click here for the first part of my 2012 J1 preview: ‘Starting from the bottom’. Or click here for the second part of the preview: ‘Higher aspirations’. With just hours remaining before the first round of J1 matches kicks off, it is cards on the table time. Or, rather, teams in the table time. Below is my prediction for how this year’s final J1 standings will look after the 34th matchday has been completed on Saturday 1 December. I am pretty convinced with my choice of champions – even if I did have them down last year as well – and of their closest challengers. I am also fairly confident that two of the newly promoted sides will struggle to stay up, and that Vegalta Sendai and Yokohama F Marinos in particular will be best placed to close the gap towards the top two. For my third relegated team, I have chosen to assume that Kisho Yano and Shoki Hirai will not hit it off – but if they do, then Albirex Niigata could wind up finishing anywhere in the bottom half. Places five down to 15 are going to be incredibly close, and it will only take the odd little run of good or bad form – an absolute given, then – for everything to get shuffled up and put out of whack completely. Hope and personal allegiances have led me to make a conservative prediction of seventh for Gamba Osaka; if things suddenly go alright on the night then they could make the top four, but it is far more likely that the close nature of the middle will see them plummet further and outside the top ten. FC Tokyo’s position will greatly depend on their Asian Champions League run – had they not qualified through the Emperor’s Cup, I might have had them sixth, but a long run in the knockout stages could easily see them drop a place or two. Finally, my apologies to Omiya Ardija fans for another pessimistic forecast – I would love to have placed them higher but could not think of a blatant reason to do so. They could easily, however, end up higher if the likes of Shimizu S-Pulse, Kawasaki Frontale, Sanfrecce Hiroshima, or – whisper it – Gamba fall into any kind of enduring rut. The only trouble is that, if you really think about it, the returning loanees were only sent out – in defender Daiki Niwa’s case, for fully five years – because they never looked good enough for title challenges with Gamba in the first place. Only Shu Kurata ticks both boxes for youthfulness (age 23) and renewed potential, but even his reacceptance is complicated by the fact that the ten league goals he mustered from midfield last year – including one keenly celebrated equaliser at Banpaku – were in the colours of local rivals Cerezo Osaka. Meanwhile, the on-field loss that will be felt most keenly of all is that of Lee Keun-Ho, whose development last term into Gamba’s most complete forward in years was even enough to compensate, briefly, for the mid-season loan of Takashi Usami to Bayern Munich. In recruiting a Brazilian with J. League experience (Paulinho from Ventforet Kofu), a Korean with something to prove (Lee Seung-Yeoul from FC Seoul), and a less-established Japanese (Akihiro Sato from Tokushima Vortis), the club’s notoriously hit-and-miss scouting setup has followed familiar patterns but rather seems to be hoping that one of the three will happen to be half-decent. And then, there’s that big difference. The first choice to replace manager Akira Nishino, who had delivered five major trophies and eight top three finishes in ten years but ultimately failed to rejuvenate the squad, was Wagner Lopes. But his appointment was vetoed by the J. League due to a lack of experience, resulting in the arrival of José Carlos Serrão from the lower state leagues in Brazil to keep the job warm. Early evidence has supported the fans’ fears that Gamba are set for a painful wakeup call, with even the prized arrival of Japan international Yasuyuki Konno not enough to seal up a rearguard that still contains Sota Nakazawa and goalkeeper Yosuke Fujigaya. Unless Serrão and Lopes, nominally his assistant, can follow up all their talk about attacking football and at least ensure the goals still flow in at both ends, this could be a very long year ahead. Kashima Antlers are another big side in transition after the glorious reign of Oswaldo de Oliveira, a J. League champion in each of his first three seasons (2007-09), ended with a disappointing sixth-place finish but redemption in the form of Yamazaki Nabisco Cup success. The Brazilian dynasty in Ibaraki is preserved, however, with the arrival of former Brazil right-back Jorginho, who boasts a World Cup winner’s medal from 1994 and spent four highly successful years at Kashima as a player thereafter. Long term, he will have every chance of restoring the glory days to a squad bolstered by young talent such as Japan U-23 captain Kazuya Yamamura and versatile midfielder Gaku Shibasaki, who earned rave reviews from Yasuhito Endo after the national team’s recent friendly with Iceland. But for this season, Jorginho will have to find cover for a trio of experienced departures and ensure that Kashima’s faltering attack is not overly reliant on 34-year-old Juninho, whose surprise arrival from Kawasaki Frontale can only be a stop-gap measure. Cerezo Osaka are a third side to welcome a new Brazilian manager, former Kyoto Purple Sanga midfielder Sérgio Soares. As always seems to be the case at Nagai, his first job will be to deal with a raft of changes in playing personnel, but the side will at least be free of the pressures of the ACL – an exciting run to the quarter-finals last season contributed to a 12th-place finish in the league that masked Cerezo’s true ability. With bigger overseas clubs likely to be sniffing around Hiroshi Kiyotake and Kim Bo-Kyung after the London Olympics, they will hope to hit the ground running. Meanwhile, Jubilo Iwata have promoted Hiroshi Morishita from a coaching position after the departure of previous manager Masaaki Yanagishita. The fact that Japan internationals Ryoichi Maeda and Yuichi Komano have both performed U-turns to stay at the club – after respective moves to West Ham United and Belgian outfit Sint-Truiden fell through – perhaps makes Jubilo a poor fit for this category. They do, however, appear unlikely to force their way out of the mid-table rut in which they have found themselves for the past three seasons. By far the most adventurous and exciting transfer activity this winter has been conducted by Vissel Kobe, whose verbally ambitious owners finally seem to be putting their money where their mouths are. The loosening of the purse strings is just reward for the relative stability achieved under the management of Masahiro Wada, who led the side to a best-ever ninth position last term. This steady progress first appeared well complemented by the experienced Gamba duo, Hideo Hashimoto and Kazumichi Takagi, before eyebrows were raised further with the signings of Yuzo Tashiro and set-piece specialist Takuya Nozawa from Kashima. If this hadn’t proved that Kobe mean business, they then caught everybody by surprise last month in persuading Japan defender Masahiko Inoha to join the project after cancelling his contract with cash-strapped Croatian side Hajduk Split. An opening day visit to Banpaku will be a fascinating marker ahead of a year in which supremacy in Kansai could well be up for grabs. It is easy to forget that, for a long time last season, Yokohama F Marinos were very much in the title race until a late season loss of form that saw them drop down to fifth, fully 16 points behind champions Kashiwa Reysol. But there seems little reason to think that the men in blue, white, and red couldn’t build on this performance as long as the transition under new manager Yasuhiro Higuchi is a smooth one. The return of exciting U-23 international Manabu Saito and the surprise arrival of J. League veteran Marquinhos, who won the title in a lone season with Marinos back in 2003, adds depth that will hopefully kickstart an underperforming but highly talented strikeforce. Vegalta Sendai did superbly to finish fourth after an up-and-down and, above all, emotional 2011. The initial temptation is to think that they could not possibly repeat such feats, not least given the huge gap in points to last season’s top three. But the best defence in J1 has been bolstered further by the arrival of Taikai Uemoto from Cerezo, which just leaves the issue of an attack that only managed 39 league goals to deal with. In this regard, they can hardly do much worse, and so if even one of new Brazilians Sacconi and Wilson – or, perhaps more pointedly, Kunimitsu Sekiguchi – can prove an effective foil for Shingo Akamine then there could be even more in store. Which leaves just two. It may be terribly conservative and contradictory to go on about how competitive the J. League is and then predict the same top two as last year, but while the radical shakeup/turmoil at Gamba makes it easy to see how they could fall away, the same cannot be said of either Kashiwa or Nagoya Grampus. Let us not forget – Sendai in fourth were fully 15 points behind second-placed Grampus at the end of last season, with Reysol denying them a second straight crown by just a single point. For Nelsinho Baptista, it has been evolution rather than revolution in his bid to stay on top of the tree. Former Jubilo Iwata man Daisuke Nasu, who can play in either defence or defensive midfield, is the only one of a handful of new signings likely to be pushing for a place in a first XI that has not yet been subjected to any form of looting from richer predators at home or abroad. This stability will be key as Kashiwa look to prove that their incredible exploits of 2011 were no fluke. That said, one crucial difference over last year will be their participation in Asian competition. Nagoya boss Dragan Stojković was enormously rueful over the impact of midweek trips to China, Korea, and even the United Arab Emirates on his side’s domestic performances early last year, with fully 12 points dropped on the opening six J. League matchdays. This season, at least, he will not be at a similar disadvantage over his biggest rivals as Grampus and Reysol share equal billing in the ACL for the group stage at least. It could, indeed, make all the difference. Nagoya, too, are largely unchanged – save for defensive reinforcements in the form of Daniel (Ventforet Kofu) and Yosuke Ishibitsu (Vissel Kobe) – and their squad therefore remains the most impressive and imposing of any in the country. With more to come too from Ryota Isomura, Kensuke Nagai, and Mu Kanazaki, Stojković’s side are the better equipped both to battle on two fronts and to move up a level from last year’s displays. Kashiwa and Nagoya are the clear favourites for 2012 – but the latter that bit more so. A couple of weeks ago, the Guardian’s ever intriguing Secret Footballer revealed the admittedly unsurprising truth that he and most of his Premier League colleagues are far more interested in making money than winning trophies. Happily, in the J. League this need not be the case – and not only because salaries aren’t quite at the same level as in English football. As Kashiwa Reysol showed last year by winning the J1 title at the first attempt following promotion from the second tier, any team that has been intelligently put together and demonstrates the right balance of quality and dedication can immediately earn the right to compete with Japan’s finest. There is, however, a flip side, as the fiercely competitive nature of the J. League makes it inherently possible for even the more fancied sides to plummet down the rankings the moment they become complacent or get ideas above their station. Urawa Reds’ dice with relegation last term was a fine example, and a lesson for all as the 18 J1 teams jostle for position at the onset of a new campaign. Some of the noises coming out of FC Tokyo over the past three months have been cause for concern. The admittedly impressive manner in which they followed their J2 championship with victory in the Emperor’s Cup final on New Year’s Day prompted certain players to start talking about a J1 and AFC Champions League (ACL) double in 2012. While nobody with a shred of integrity ever goes into a match or competition with the intention of losing, one feels compelled to point out that a) Kashiwa’s unprecedented achievement was born of quiet hard work and humility, and b) no Japanese side has ever yet been able to give the ACL a real go without suffering a detriment to their domestic form (or, indeed, vice versa). The capital club will be well advised to remember that they ought to have been far too good to go down in the first place, but part of the reason they did was an arrogant conviction that they were. Fortunately, the appointment of Ranko Popović as manager should help instil a reasoned style of play and reasonable short-term goals. It will be exciting to see how the Serb stamps his impression on the club after earning promotion from the third-tier Japan Football League with Machida Zelvia last year and previously turning an Oita Trinita side that had lost 14 on the spin into one that could go ten unbeaten at the end of the season. Despite the arrival of Kazuma Watanabe and return of Kentaro Shigematsu, Tokyo still look short of one real goalscorer to really fire them up the table. But while Yasuyuki Konno’s departure hardly helps either, Kenichi Kaga and Aria Jasuru Hasegawa seem to have slotted in quickly and a top half finish should be quite attainable. Sagan Tosu charmed many on their way to a promotion that sees them finally become the last of the original ten J2 clubs back in 1999 to seal a place in the top flight. But their squad has been hit by a succession of injuries, with defender Kosuke Kitani undergoing cruciate knee ligament surgery on Thursday to join midfielders Keisuke Funatani and Tomotaka Okamoto on the sidelines. Their chances of making an impression seem overly dependent on Yohei Toyoda, who netted 23 league goals last term. Meanwhile, Consadole Sapporo should surely be better than relegated Avispa Fukuoka; but by the same token, none of the established J1 sides will be as bad as Montedio Yamagata. Nobuhiro Ishizaki’s side will need to finish above Tosu and hope at least two of the bigger names have a nightmare. The loan signing of Shoki Hirai and permanent return of Kisho Yano could, on paper, provide Albirex Niigata with a perfectly balanced forward line; complementing the pre-existing threat of 13-goal Bruno Lopes and restoring the side to the status of dangerous dark horses they enjoyed a couple of years ago. In fact, Niigata are probably dependent on it. Both strikers enjoyed a torrid 2011, slipping from the fringes of the national team to virtual inactivity at club level with Gamba Osaka and SC Freiburg, respectively. Will they embrace this new beginning with the mindset of having something to prove, or still stuck in a rut? Averaging barely a goal a game in finishing 14th last season, Albirex have little leeway for stagnation. One player who will not be supplying the likes of Hirai and Yano with goals is Cho Young-Cheol, for whose services Omiya Ardija were able to beat a number of other reportedly interested clubs. The South Korea international will form a potentially exciting left-sided pairing with Takumi Shimohira, who arrives from Gamba. The Squirrels will, however, be hard pushed to significantly improve on 13th position and retain their status as top dogs in Saitama. There is little point in rehashing all the reasons behind Urawa’s astonishing slump last season – suffice to say they were bloody awful. What is important is that the club finally pulls its head out of its arse, implements a genuinely long-term strategy, and accepts that, for the time being at least, the type of golden era it enjoyed between 2005 and 2007 remains a long way off. Appointing Mihailo Petrović, erstwhile of Sanfrecce Hiroshima, as manager looks like a sensible start. The playing resources haven’t actually changed much from those who led the side to fourth from bottom but two key additions, Japan internationals Tomoaki Makino and Yuki Abe, will rightly be expected to make an immediate and positive impact – not least because Petrović will bring with him his characteristic/idiosyncratic 3-4-2-1 system. Makino is well used to the Serb’s ways following five years under him at Hiroshima, while the returning Abe offers the nous and versatility to anchor either defence or midfield within this formation. It may take a while for everything to click, but as long as everyone remains calm and remembers that anywhere above halfway would be a big bonus, the Reds should be fine this season. Quite what will happen to Sanfrecce is uncertain, with the departure of Petrović compounded by that of striking talisman Tadanari Lee to Southampton. Hosting Urawa on the opening Saturday will be an intriguing test for Hajime Moriyasu, who returns from a spell coaching at Niigata to take the managerial reins and is expected to retain Hiroshima’s old system and passing style. Even so, the sense is of an era having ended and after three successive top seven finishes, this looks like being a year of transition. Gone too, sadly, are the days where a free-scoring Kawasaki Frontale would enter the season touted as being among the favourites for a league title that would finally break their silverware hoodoo. A run of eight straight defeats last summer revealed crippling vulnerabilities and despite the continued brilliance of Kengo Nakamura, Yu Kobayashi and new boy Rui Komatsu have a lot of ground to cover if they are to emerge as genuine successors to striking alumni like Juninho, Chong Tae-Se, and Hulk. Shimizu S-Pulse remain in the process of building something under Afshin Ghotbi, who has at least showed a little more imagination in his overseas recruitment policy than most other J. League managers. But Eddy Bosnar and Fredrik Ljungberg have both moved on and there is still a heavy reliance on veterans of temperamental form and fitness – such as Shinji Ono and Naohiro Takahara – to guide through the young players. 09:00 Stumble out of bed. Confuse the hell out of my workplace by sending them a full day’s work – here’s one I prepared earlier – at the start of the working day. Does this mean I’m free for them to send me extra stuff all morning and afternoon, they excitedly enquire. No. No, it doesn’t. That quota is full; the quota that is not is sleep and that’s what the bullet train back to Osaka is for. 10:30 Bump into Asif, my Egyptian journalist friend from Qatar, on the platform at Shin-Yokohama. His is the Shinkansen before mine and, as it turns out, the flight out of Japan to Doha before mine as well. He very kindly offers his help if there’s anything I need during my stay in his adopted country; I thank him, but I’m only going to be there for a couple of hours. Much appreciated nonetheless. Asif has had a very productive tournament, got to meet Sepp Blatter, and is still buzzing from watching Al-Sadd take on Barcelona. 13:00 Wake up about 20 minutes away from Osaka feeling like death – a fate that has literally befallen Kim Jong-Il, I learn as my default wakeup setting of checking Facebook and Twitter on my phone leads me to this revelatory tweet from John Duerden. My first thought is of how this could rapidly change the political and security situations in East Asia, for better or worse. My second is that I’m going to need to record a disclaimer for that feature-length Minutecast before putting it online. We had spent the last couple of minutes joking about how North Korea deposing Japan as the Unofficial Football World Champions might provoke the Dear Leader to withdraw his national team from all future matches in order to preserve their title – if only he had allowed the country an internet connection. 19:00 Minutecast report on the final day is recorded and online, but the long one will have to wait until tomorrow. As will the suitcase to go home. My friend Yukari flew in to Japan for the festive season from Prague this morning and this is thus the only night we can meet up for a Christmas party – with other friends in Osaka I haven’t been able to see for weeks, either – so let’s finally break away from this computer and na zdraví! 18:00 Day job done and long Minutecast edited, but I’m having problems with the file size and the server isn’t liking it. Have to leave it for later as I’ve a flight to catch and my suitcase still isn’t even packed yet. 20:30 Somehow achieved good balance between clothes and Christmas presents across my suitcase and hand luggage, and have done a bodge job with the podcast that will need to be corrected when I get back to the UK. The moment I can start forgetting about work until the New Year will have to wait. 22:30 Evidently, the only food you can get at Kansai International Airport past 10pm is McDonald’s. Before my healthy pre-flight meal, I peruse the book shop to see if they have Shūkan Soccer Weekly in yet, as Sean Carroll has written an article with my name in it. They don’t. 23:30 Over the time it took me to eat a leisurely dinner and listen to our podcast, the book shop has had a delivery and I can buy Sean’s magazine. He wasn’t lying – there’s my name and everything. Better go and get that plane. 05:50 (Arabia Standard Time, GMT+3/JST-6) As I wait to get off the first flight and change planes in Doha, I notice the three guys in front of me in the aisle are wearing Santos merchandise. One, Rodrigo, speaks excellent English so we spend the bus journey to the terminal talking about the tournament. Having grown up in the Santos area of São Paulo and been a regular at his team’s matches since childhood, Rodrigo explains that he simply had to make this once-in-a-lifetime journey to Japan. The Club World Cup and the chance to become champions of the world simply means everything. Despite the heavy defeat in the final, he thinks it was a good lesson for Brazilian football and a reality check about how far they have to go to catch the Europeans – even if Barcelona are ‘superhuman’. As for Kashiwa, he and his friends praise the Japanese representatives for their discipline and tempo, though they admit that such a style doesn’t really find much favour in Brazil. I leave them to continue their ridiculously long journey back to São Paulo. 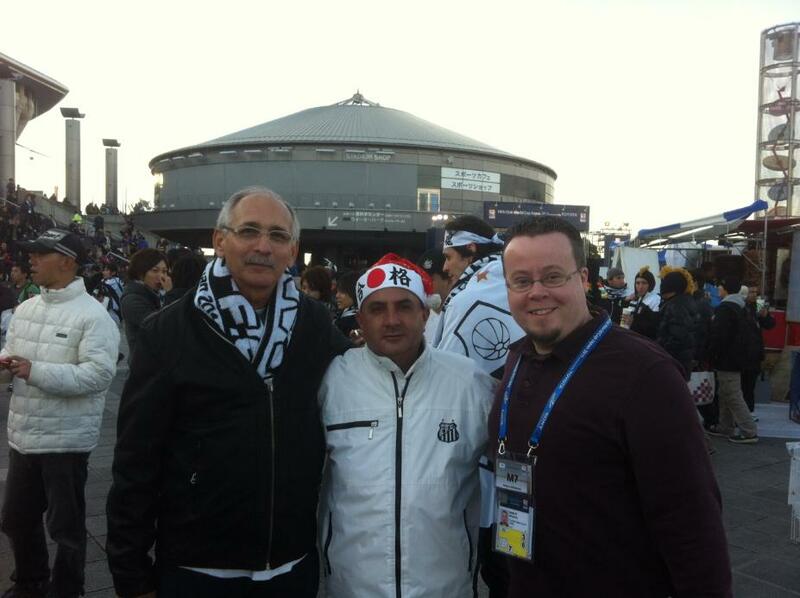 It is nice to bump into others who have enjoyed the Club World Cup as much as I have. 07:00 Temperamental Wi-Fi in the terminal finally holds in long enough for me to check my e-mails. Alan Gibson wants to know what I’m doing for Issue 3 of JSoccer Magazine, while the British (football) agent who I’ve been trying (and failing) to help sell some surprisingly famous players to J. League clubs needs a reply too. If I do that now, Christmas will be that bit closer. 13:30 (Greenwich Mean Time, JST-9) Back in Blighty. 15:00 My first game since Barcelona versus Santos is my local team, Taunton Town, away to nearby rivals Bridgwater Town for a Somerset derby in the lower reaches of the Evo-Stik Southern League Division One South & West – our little corner of the eighth tier of English football. My friends and I make up as close as makes no difference to one percent of the 538 people in attendance, underneath struggling floodlights but warmed by the comforting scent of Cornish pasties. It could hardly serve as more of a contrast to Messi and company – this one is actually close and competitive, with Taunton taking a most satisfactory 2-1 win thanks to a Simon Ingram free kick in second half stoppage time. 18:45 Saying all that, the third-place playoff is a bit of a damp squib. With both teams having exerted themselves quite exhaustively over the past few months, Kashiwa Reysol and Al-Sadd ultimately play out a goalless draw that goes straight to penalties in order that the final can kick off in time. In a twist of irony, the home side are defeated as Takanori Sugeno, the hero of the quarter-final shootout, is beaten by all five Al-Sadd attempts and Ryohei Hayashi, who converted the winning penalty against Monterrey, is the only man to miss. I’m fairly certain that the pair had no intention of actually purchasing her spicy spaghetti sticks but even then, the hunger that formed the basis for their chatter was quite understandable. With no food laid on by the organisers for the press and only 45 minutes before the second game, none of us would likely be getting any dinner before midnight. It seemed unduly hostile of the JFA guy to clamp down even on window shopping for other alternatives in such a vehement manner. I sincerely hope the many overseas journalists’ impressions of this beautiful country will not have been overly dented by the quasi-totalitarian attitude of one or two Japanese men in suits. The reduced interval before the final initially leads me to eschew a hunt for quotes in favour of the press room where I would use the time to type up two or three hundred words from my cleverly-tweeted notes on the playoff. But an argument breaks out behind me between some Qatari and Brazilian photographers over space allocations, with the latter party becoming increasingly heated and threatening to sue the former for moving their equipment. It is fun to watch for a while but ultimately quite a distraction so I join Cesare Polenghi in the mixed zone to see what we can gather. With only 10 minutes until kickoff, I am about to cut my losses when I spot Abdulla Koni about to head our way following a television interview. He kindly shakes my hand and stops for our third chat of the week. Are you satisfied today? You look a lot happier than when I last saw you! Yeah, we are very happy today. Very, very happy to take the third place, because we are the champions of the Champions League so we had to show the people that it is not easy to take the Champions League. We had to show them that we are a good team; that’s why today we fought so hard to take the third place and show everybody that it was our moment to take this one. The match looked quite well poised in the first half, but then the second never really got going. 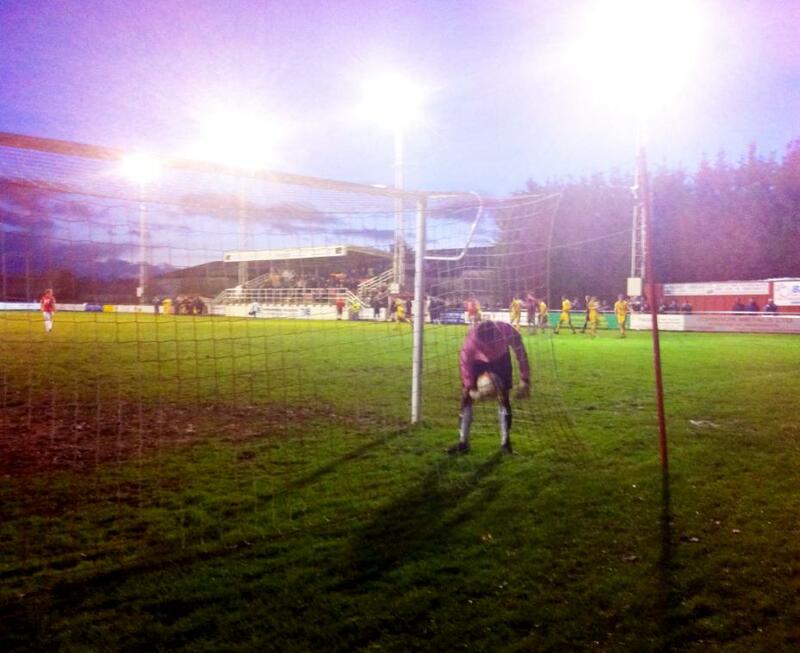 Do you think both teams seemed to settle for penalties? No, I don’t think so. We don’t know them and they don’t know us, so in the first half everyone is looking at the other team to see how they will play. That’s normal, you know, because it was like a final – you will not open up the field and you won’t give so many chances. That’s normal; it’s a cup game but it’s not like the Champions League. So that’s why we are keeping our goal (safe) and also they are keeping their goal. It’s not like the Champions League where you are playing ten or twenty games. In the second half the game felt a little more open because Reysol wanted to score a goal. But I think we are happy for that – it was a nice game and I think you will have enjoyed the game. Do you think you deserved to win the game? Of course. It was an open game – they can win, or we can win. Because, like I say, it was a final. But the penalties were lucky. Penalties are always chance, you know. You say that, but Al-Sadd have now won two big penalty shootouts in a row – following the AFC Champions League final. So you must be quite good at it. Yeah, this is very nice! But that’s why I tell you that we know how to play like a final game. The final game is different from the (rest of the) Champions League. Any team that doesn’t know how to play a final will lose the final. The final is something different. That is why we made sure they didn’t take a goal, and after that used any mistake (from Kashiwa) to play and to take the game. If you go to penalties, then every time it is chance. And we are lucky to have taken our chances at two finals, thanks to God. It’s nice – if we can continue like this, maybe we will take the World Cup next time! So what happens next for Al-Sadd? You’re Asian champions and third in the world, but next year you haven’t even got the ACL to play for. Yeah, next year we are going to have to fight because for the last two or three years we haven’t taken the championship in Qatar. So now all our focus is on that – to take the league in Qatar. Because two or three years is not easy – we are a big team and we have to take titles. There have been some difficult moments and that’s why we failed, but I think now we are coming back and next year we will fight to take the league of Qatar. What a thoroughly pleasant man. I thank him for his time and sincerely hope that our paths will cross again, as I dash back to my seat to see if Barcelona versus Santos will actually live up to all the hype. 20:30 Bloody hell. Barcelona are frighteningly good. At half time I bump into Dragan Stojković again, who has been spotted by an increasingly large gathering of waving fans, and share a joke about how it might all have been different had his Nagoya Grampus been the ones to face them tonight. He laughs heartily. I’m told not many people make him do that, and return to my seat with a smile of my own. 21:30 Nope, not even Grampus would have coped with this. 22:30 I think much of the anticipation leading up to this game stemmed from the fact that Santos were pretty well the one team left in the world that had a) impressed everyone enormously over the past year and b) been yet to face Barcelona. It was perhaps, therefore, in hope rather than expectation that we wondered if Neymar and company would be good enough to challenge the Catalans in a manner that few had previously been able. The 4-0 scoreline was a comprehensive rebuttal; the performance a reminder of why, despite trailing Real Madrid as they sometimes seem to go through the motions in La Liga matches this season, this current Barcelona vintage will go down as one of the finest in world football history. It has been an utter privilege to witness them with my own eyes. I catch up with Sean Carroll to form a little gaggle of British writers in the mixed zone with Gus Fielding of Kyodo News and Andrew McKirdy of the Japan Times, who conducted a fascinating interview with Stojković for Issue Two of The Blizzard. Our priority tonight is to ensure that at least one of the few English speakers will stop and talk, and Sean quickly takes an opportune position to get the Barcelona press officer on the case for us. A handful of players and officials, including manager Josep Guardiola and president Sandro Rosell, stroll through and exchange embraces with a couple of Catalan journalists. We obviously can’t compete with that, but it is a bit of a shame when Gerard Piqué marches past without batting an eyelid towards our attempts to stop him. Cesc Fabregas initially does the same as he recognises a Spanish party inconveniently stood next to us; Sean, however, is in determined mood and leads us back down the line again, making sure that the press officer knows exactly who we’re after. To his great credit, the former Arsenal man is actually quite happy to lend us a few minutes and speaks rather eloquently about his third winners’ medal since returning home to Barcelona in the summer. It is a wonder that all that time spent in England fraternising with our local footballers evidently didn’t prove too detrimental to his English. I steal a couple of quotes in Portuguese from a ruefully smiling Neymar and ask one of the staff for a Japanese translation; Sean is at the centre of a small crowd doing the same with Lionel Messi, who hasn’t escaped out of a back door this time. We find a quiet corner so I can translate the translations into English for Sean to somehow compose an article out from their string of clichés. While Fabregas – and, from what I could overhear, a number of the others including Xavi Hernández and Andrés Iniesta – had spoken so well, I guess perhaps the very best really don’t think of anything but the football. 02:00 Back in my weekly mansion, I have finally got some dinner and written up the Fabregas interview. Just one more article still to write. I open a can of Red Bull, and phone my Dad back in Somerset in an attempt to wake myself up a little. 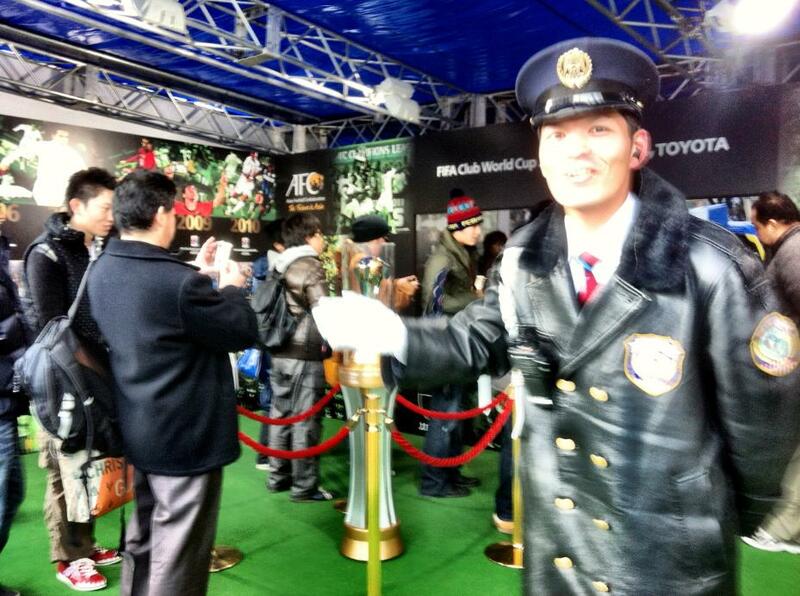 He hasn’t seen the game, but he did know Barcelona were playing someone in Japan because I was going to be there.